Phyllis Fletcher is an editor for KUOW Public Radio in Seattle, a member station of National Public Radio. She earned a master?s degree in communication and a fellowship in demography from the University of Washington. She also holds a bachelor?s degree in psychology from Columbia University. 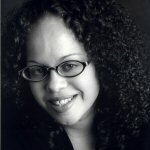 Her journalism honors include the 2006 award for radio commentary from the National Association of Black Journalists, a fellowship with NPR, and several awards from Public Radio News Directors Incorporated and the Pacific Northwest region of the Society for Professional Journalists. Phyllis won her first journalism award for a report she produced as an intern, about racial discrimination that happens over the phone.